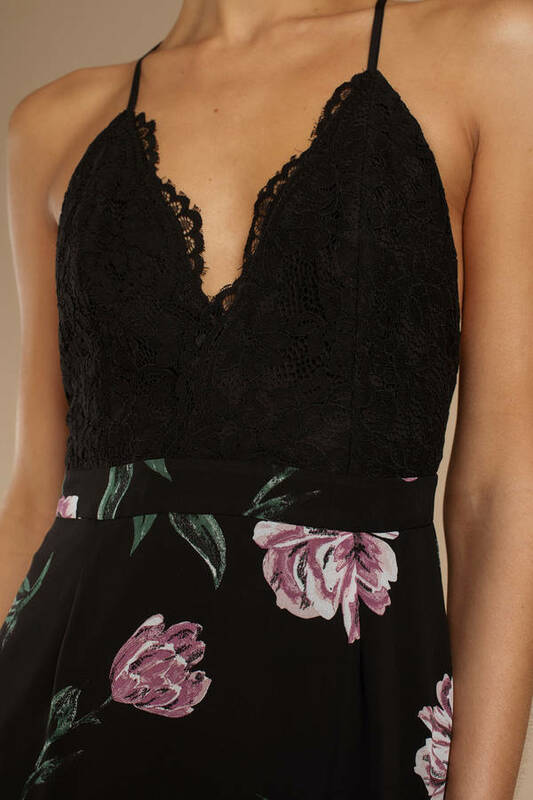 Check out Tobi's Win The Lace Floral Midi Dress Those outdoor banquets better watch out when you show up in the Win The Lace Black Multi Floral Midi Dress features a lace bodice with adjustable cami straps, lace racerback, and v-neckline, and a flowy midi skirt with romantic floral print. Pair this floral print midi dress with espadrilles. Those outdoor banquets better watch out when you show up in the Win The Lace Black Multi Floral Midi Dress features a lace bodice with adjustable cami straps, lace racerback, and v-neckline, and a flowy midi skirt with romantic floral print. Pair this floral print midi dress with espadrilles.